A basic one-line calculator with general math and science functionality. Approved for use on most exams. 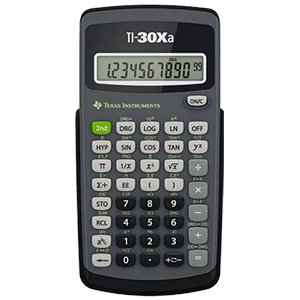 There are TI-30Xas available for checkout.